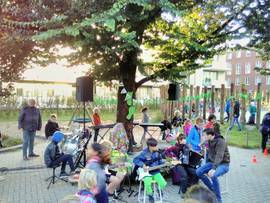 In the Netherlands 13,088 children were walking and cycling for 'Groene Voetstappen' in the thirth week of September and handed them over to their local aldermen. Together they reached 69,366 "Green Footprints" and 11,386 "Golden Footprints" for extra actions like saving water, planting trees, being a flexitarian or organizing a local climate summit . In addition, children in various Kids Climate Summits presented dozens of ideas for a healthy, climate-friendly society. The aim of this campaign was to change the habit of children to be taken to school by car and to be a good example for their parents. 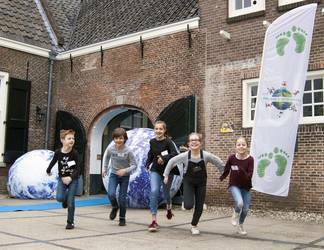 In March 2019 there will the National Children’s Climate Summit in Den Hague. Children participate in a competition for the Philip de Roo award. In the first round, the best ideas are selected and the winner will be announced during the National Children's Climate Summit. This year we have given a lot of attention to the Sustainable Development Goals. All lessons are referred to one of the SDGs.